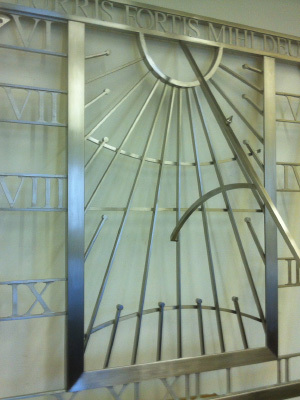 & Wall Dials designed and made by John Close. 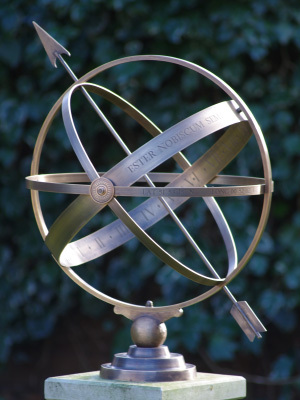 Made to your Latitude and Longitude. 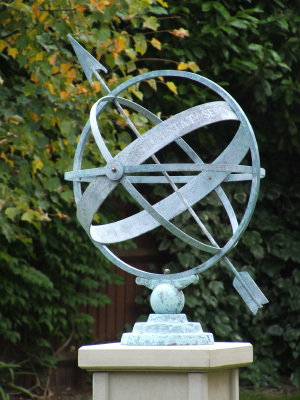 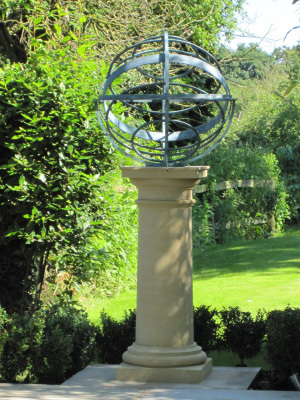 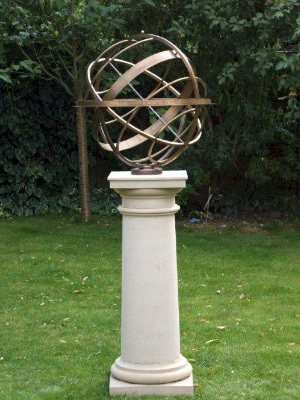 The Gemini range of armillary sphere sundials are made entirely of brass..
Our traditional and modern sundial designs are available in brass, copper, stainless steel and other materials, and can be supplied with various types of plinths, pedestals and bases. 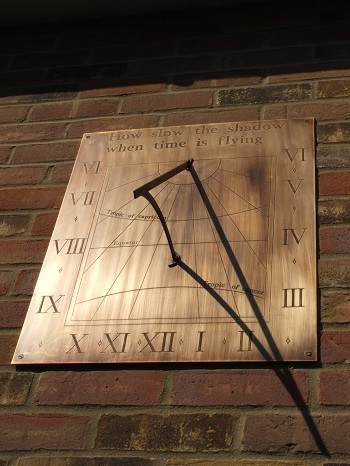 Please click on the left hand products menu or the dropdown above to see our sundial product range. 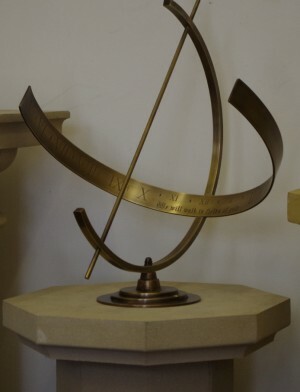 The sundials you find on this website are my own creation, and you are unlikely to find them elsewhere. 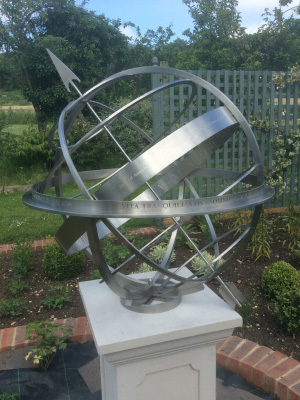 They are all made in my workshop at Tolleshunt Major, Essex in the UK. 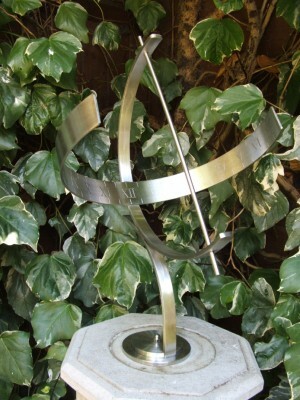 Personal Motto Inscription makes the Perfect Gift! 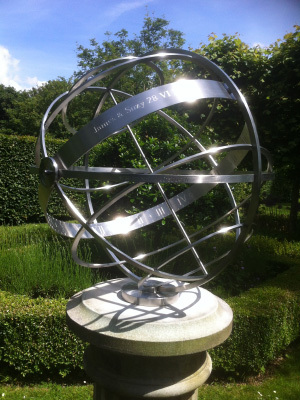 My sundials can have an engraved personal motto inscribed making an extra special gift or memorable garden feature. 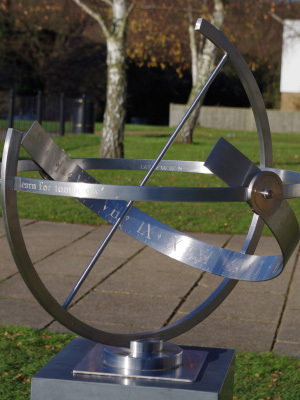 Please see below some of our favourite sundial mottos. 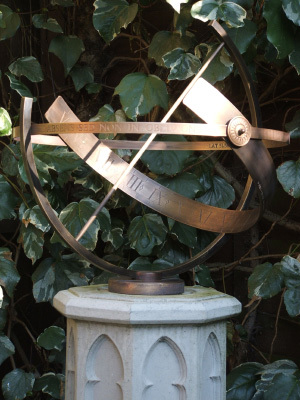 We design and make all types of Sundials, Armillary Sundials, Wall Dials & Horizontal Dials for home and public areas.